The mindset is such that you hear of the Boman Irani-Arshad Warsi combination and you expect a "laugh out loud" comedy. It doesn't help that the trailer points you in that direction too. It pleasantly surprises you, by starting off as satire, quirks and all. Then it takes a serious route, and even so, you are willing to play along because Jolly LLB seems like its trying to make an important point. Unfortunately at the end though, it is pretty disappointing. The disappointment is not as much because of the decision taken by the court, but due to lame defence (Boman Irani) and prosecution (Arshad Warsi). They seem rather clueless and caught unawares all the time. Sure, some benefit of doubt can be given under the name of character consistency. After all, the defence is callous, over-confident, arrogant and thus complacent. The prosecution is amateur and confused about his moral stand. It is also possible that we have been spoilt by smart-Alec lawyers in our filmy courtrooms and real life lawyers are not really always on their toes. But, after this leeway too, the stage doesn't look convincing enough. If real-life is what we are aiming for, some things work out way too easily. Like a bribe drops down from 5 lakhs to 1 lakh without much back and forth. Or evidence is pointed towards, out of the blue. So on and so forth. And I sincerely hope lawyers and judges don't have shouting matches in real-world courtrooms. This overall inconsistency and ultimately flat drama pulls Jolly LLB down and takes a lot away from the satire it started out as. The pull towards gravity though meets constant resistance from the cast. How wonderfully subtle and underplayed both Boman Irani and Arshad Warsi can be when allowed to. No, over-the-top histrionics, characters played out as haughty and simple-minded respectively. Saurabh Shukla too gets a role weighty enough to play around with. While a caricature, his act as the twisted-but-straight-but-twisted judge is something you won't forget easily. His maneuvers over the defence are by themselves worth a watch - thorough 'babu' style. All of this with no help from the dialogue. A mockery of dialogue within the film by calling lines 'filmy', doesn't make it any less filmy. It makes the lines neither filmy enough to applaud nor real enough to be believable. Further distraction is caused by songs that don't belong. And why is this 'promotion' song during end credits becoming a norm? Jolly LLB feels like it was undecided between satire and drama. It looked like the heart was in the drama, but a few satirical moments came by and went through in the film. That didn't make the satire bad, it just made the film uneven and took the focus away from the story - which in itself was wrapped in drama that was neither dramatic nor real enough. _PunjabiMunda: #JollyLLB a painful satire on our legal system. A good way to spend the evening though ! _OhISea: Watched Jolly LLB. Good movie, story was better then Mere Dad Ki Maruti. Comedy factor of #mdkm was better because of the dialogues. _ManlyMan_: Jolly LLB is actually a nice movie! _adityagupta: Jolly LLB is a well made movie.. Nice and light and could be seen with the family. zubinnalawalla: Just done with Jolly LLB. Nice one. Saurabh Shukla steals the show. 3.5 stars. VIVECKVASWANI: there is no rocket science, or punditism involved. when i saw it, i knew Jolly LLB couldnt fail. vishu_ishtaar: Jolly LLB ! Really an Impactful movie yarr ..... Jolly ne toh Phaad Diya solid ! VinodStudent: Jolly LLB - A nice movie, very close to the present Indian law system. Very good acting from MBBS to LLB & nice to have Amrita. vinayrbh: Jolly LLB... Super.... Good watch !!! varunkachhwaha: Jolly LLB its good movie . Its about the case of Hit n Run case of Salman Khan. They Show The Truth Of his Case!! Tweety_is_here: Jolly LLB > full of gags and punches!! :D Loved it! tweetw_ala: Sourabh Shukla was really impressive in Jolly LLB ! Very good movie ! TheTechMate: Back home chillin’ jolly LLB was fun ! testifytazzy: In a world dominated by logic and practicality, Jolly LLB brings out the value of emotions, and thus a good watch. techahmed1: JOLLY LLB my rating 8/10 enjoyed it. 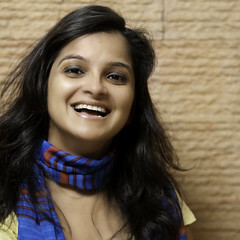 subuchak: 2013 offered Special 26 , Kai Po che and Jolly LLB. No need for big stars to deliver a hit rather you need a good story 2 do all the magic. SrabantiBanerje: 'Jolly LLB' is simply superb! especially 2nd half! must watch!!!!! Sou_Reddevil: Btw Jolly LLB was a good movie..
singhal_272: #Jolly LLB : A painful satire on our legal system..worth a watch. simplymunmun: jolly LLB.... jolly good . shubhamkul: #JollyLLB- Well depicted satire on Indian legal system. Well directed though a legal glitch. Cheers to Arshad, Boman & Saurabh trio! shouvik: Movie marathon. Getting rid of the bad taste left in my mouth after I Me aur Mai and Attacks of 26/11. #JollyLLB the palate cleanser. shahamish: Jolly LLB...a definite one time watch! sayanroy: #JOLLYLLB @imarshadwarsi shows us that satire works and how!!!! The movie is delightful. sanotech86: Jolly LLB - a nice watch .. Saurabh Shukla is the scene-stealer in 2nd half ! sandhyamendonca: #Jollyllb is a rare hindi film, intelligent and fun. It draws from contemporary events, has slick dialogue n excellent characterisation. s3xyhibak: Jolly llb ! fantastic movie ! Only astonished by the name of the music composer - bublie bhai. r_sumedh: Jolly LLB......a great movie! Arshad Warsi at his best! (Y) take a bow ! Roy_8Rc: #Awesome flick Jolly LLB . Humorous, yet practical movie on institutional corruptions . RituBenz: Something wrong with Bollywood !! So many good movies coming in quick interval ! Latest example is Jolly LLB :) must watch ! rajsm: #jollyLLB , nice movie. rahulksinha: Jolly LLB is great movie! Wonderful acting by Saurabh Shukla, Arshad Warsi and Boman Irani. RahulDevAnand: Jolly LLB superb entertainment movie !! Qayed: Jolly LLB !! Nice story and did not bored at all.... The astonishing was the @PVR ticket @405 @ Saket !! purvs3: JOLLY LLB is an awesome movie ! Hard hitting dialogues n some natural in your performances by @imarshadwarsi and @bomanirani ! Brilliant !! Pratik_Juneja21: Jolly LLB is Brilliant,not the perfect movie but very enjoyable. The second half of the movie is Fantastic! nitinrshingal: Watched Jolly LLb.. Enjoyed it!! nigamanandasaho: Watched Jolly LLB today.. Refreshing.. Lawers, Judges, Victims,Witness,police all are super funny/bunny along with the script. NeilQuadros: Jolly LLB.. Good movie! Nice message. NChowkhani: Went to the movies. Only ticket available: Jolly LLB. Exceeds expectation. Next Mov: The Reluctant Fundamentalist or Searching for Sugarman. MortalsOne: And second half of Jolly LLB cruises through brilliantly !!! A No Nonsense movie. Must Watch. Mental_FC: watched JOLLY LLB . nice movie . great for those who love to watch real life in reel . manukaushik: I rarely watch first shows of the day. But Jolly LLB was fun. Recommend it. madanchander: #JollyLLB-a very simple yet well treated knot. Very minute punches that add good impact. Hats off to #SaurabhShukla. #AmritaRao unnecessary. Kunwar_21in: Just watched jolly LLB. Good watch, irani is great. KothariHeman: Love the way Indian cinema is maturing.. Amazing performances by saurabh shukla, boman and arshad warsi in Jolly Llb! KKopariha: Jolly L L B is a mst watch !!! ketan_kaul02: And I completely forgot to mention that #JollyLLB is such a nice movie. kaushrajv: JOLLY LLB ; Haven't seen yet ; Go & watch .. What a movie ..
kaminithewriter: Just watched jolly llb; loved how the entire theatre clapped at justice being served. jundr3: Saw Jolly LLB with pratibha and Akul. A great movie. Am depressed with the corruption shown which is a reality in our country. jaiswalmanas: watched jolly llb ..awesome movie hats off to @imarshadwarsi what a performance by him, will watch again with my girlfriend..
iRonCy: Jolly LLB,isn't great cinema;but it has enough engaging, savvy, amusing and, at times poignant moments to make it a jolly entertaining film. immhemant: Go #JollyLLB to watch incredible Saurabh Shukla n Boman..True slice of lyf film tht shws hw corrupt Indian system cn gv such gud films! iGaurav27: Arshad Warsi Vs Boman Iriani, bhai mazaa aa gaya "Jolly LLB" paisa vasool movie. Reminded me of The Rain Maker. 5 stars !! himanshi_8: Its so good that films like Kai po che, Jolly LLB, mere dad ki maruti are being appreciated and accepted. GappistanRadio: Mast hai bhai Jolly LLB.. Sahi kaam kiya @imarshadwarsi ne lekin film ke star to Shukla ji hain..
GAB_Indian: Can't miss to APPLAUD @bomanirani for his performance and ever GORGEOUS @AmritaRaoTweetz in #Jolly_LLB, Power PACKED Court ROOM drama. e_lisha: Jolly LLB could have been better but still a must watch. drnvikramaditya: After #JollyLLB Arshad Varsi will be next big thing in Bollywood.Must Watch. diwakar909: Jolly LLB a superb movie . divyantagarawal: Nice movie Jolly LLB- a jurisdiction satire. Great work by arshad warsi and boman irani. Was quite an eye opener. DiveshIdnani: #JollyLLB has been watched. Good. Expected something, was something else! But good nevertheless. DipsDanDavidson: Just watched #JollyLLB . I don't know whether fact or fiction, but it's a good display of our Judiciary system. dandiwakh: Absolutely "@mehranzaidi: Jolly LLB..fine movie..Saurabh Shukla brilliant"
charuamar: 2 entertainin films in a week #MDKM #JollyLLB now lukin fwd to #ChashmeBaddoor #Himmatwala will sadly be a hit @ajaydevgn Y u doin dis? chalta_ja: tday ws so gud nd #jollyllb mast. ChairmanUvesh: Jolly llb.. What a film, what a performance.. is one of the finest actor India ever produced..!!! Proud of u Arshad Sahab..!! chahal_anil: Watched jolly LLB today .. very well made movie. . Saurabh Shukla as a judge. ..just awesome. . Arshad played a trustworthy lawyer ..
brijesh27joshi: Jolly llb ! fantastic movie ! Only astonished by the name of the music composer - bublie bhai. BiggheRajat: Very strong performances by arshad warsi and @AmritaRaoTweetz in #Jollyllb . A movie with definately a message. Benaam23: Saw #JollyLLB. I have one word for you guys. Jhakas!! BattaSunil: watched JollyLLB (Bollywood) and Silver Linings Playbook (Hollywood) in last few days.can't decide which one was better. Kudos to Bollywood! ashish_sardar: Jolly LLB ! One of the finest movies I have seen so far ! Great Performances ! AshishPasam: Jolly LLB is an entertaining weekender! ASEEMSAWHNEY: Jolly LLB an excellent movie. Must Watch! Arichi13: there should be a special screening of jolly llb for kapil sibal and ram jethmalani. anshu9843: #JollyLLB is an Honest Movie. I like it. amankatyal: Jolly llb ... Good watch !!!! Akki_neeraj: Just watched #JollyLLB..#Boman sir is awsme as always and good acting by #ArshadWarsi too..love this movie. aditya_writes: #JollyLLB - worth a watch !! Brilliant job @imarshadwarsi @bomanirani and a simply outstanding performance by @saurabhshukla_ !! Great FIlm! abhishek_s_n: #JollyLLB is a good underrated movie... go watch it..
AbhiSheK0ShukLA: Just watched #JollyLLB !! Awsm & very interesting movie . Boman Irani, Arshad Warsi and Saurabh shukla you all are rocking guys. SandipGhose: .#JollyLLB a very average movie but resonates with the current national mood of a common-man (Aam-Aadmi) taking on the rich and the corrupt. Rida__: i just watched jolly LLB in theatres. Haha. It was okay. PrahniikaB: Sometimes all a hackneyed idea needs is great deliverance. Jolly LLB. MalvikaChandan: Jolly LLB: stereotypes and cliches flock the film but endearing acting, like way Arshad Warsi refers to Saurabh Shukla as janab make it fun. liLMiss_hAtke: Just saw #JollyLLB.Nothing great about this movie but made me think how justice in India is in shambles & police can be bought so easily. Joojhaaru: Jolly LLB, for me, is the benchmark for average movies. Na acchi, na buri. followabhi: Wud give Jolly LLB "***" 4 raising such topic ver our ntire judiciary system is made fun by few Lawyers however cud hve been edited well!! codelust: If anybody should get seriously pissed off by Jolly LLB, it would be the Delhi Police. Movie itself is pretty average, post interval. bhaskar_72: Jolly LLB. cant say must watch, can't say avoid. Go for it if you like a light non-preachy movie, with a hint of a soul. bdevang: #JollyLLB is strictly a decent movie. its neither that funny nor hard hitting with lawyers facts. could have been better. very slow as well! adiramac: Watched Jolly LLB. NOT a comedy at all. But I was not really that disappointed by the end of the film. Could have been better, but good. swapnilchichani: Jolly LLB. God knows how is it getting decent reviews. Just avoid. saeetendulkar: #jollyllb superlame!! expected soo much more from arshad warsi-boman irani duo! princegoel_in: The best part of Jolly LLB is the Interval. OmniComment: #JollyLLB = let down, shallow. But does raise a few q's. Where is the line b/w FOE & contempt re: judiciary bashing (even if fictional)? NoorUbs14: Jolly LLB could have been better!!! Nikhil_Rams: Saw both Jolly LLB and Mere Dad Ki Maruti over the weekend. Personally preferred #MDKM anyday over #JollyLLB. Much more enjoyable & shorter. Namrata_Thakker: Jolly LLB could have been better! MihirBijur: Watched Jolly LLB last night. Quite over-rated. Apart from a few comic punches from Arshad & Boman's acting, the rest disappoints. mdhvv: “@_PVRCinemas: Describe JOLLY L.L.B. in one word!” NO! MadGuide: #JollyLLB is a real torture. Wasted my money and sleep. AnaaPeshimam: Jolly LLB - A jolly bad decision by the makers of the movie! Concept: A struggling lawyer takes on a successful, senior lawyer. General Look and Feel: Ordinary drama, though it starts off with some wonderful, crisp frames. @Meetu : 2 questions,what are your ratings for the 2 Munnabhai films? Does J-llb have more in common to Munnabhai MBBS than just its name? I asked 'coz i heard that the director of J.LLB is gonna be directing the 3rd Munnabhai film....dunno what happens to that now after the court verdict on Sanjay Dutt though! @Anuj yes, I know. I think the Munnabhai series is a lot about the writing. I'm 50-50 about the next episode going to another director.